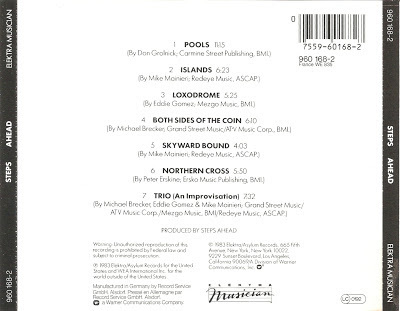 In 1982 Musician was formed as an imprint of the Elektra Record label to release jazz recordings. For more than a decade the label released albums from both established and new acts, but was finally closed in 1994, following the reorganization of its parent label Elektra. 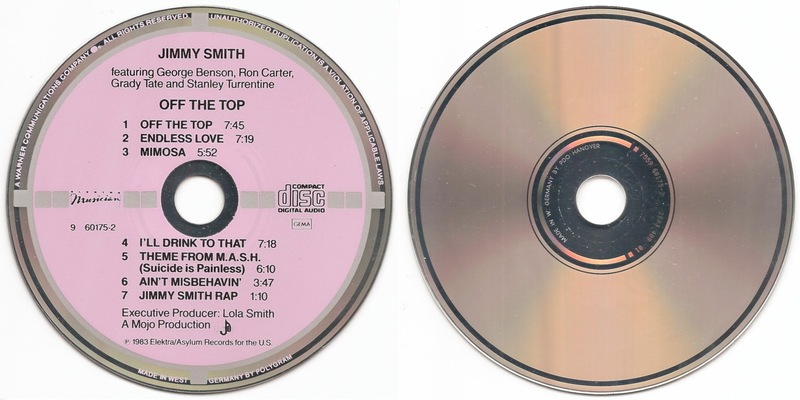 As a member of the WEA group it comes as no surprise that the CDs that were released on Musician during the early 1980s are Target CDs. The color scheme that was chosen is a pink background with silver paint targets and black lettering. Although all of these Target CDs were manufactured in West Germany, there are a few albums known that were also made in the USA by PDO. These tend to be very rare. Many of these CDs, as is often the case with West German Target pressings, can be found with different variations. An example of a later pressing of the eponimous album from Steps Ahead is shown below. On the label side the manufacturer is omitted from the perimeter text which only mentions the country of manufacture: MADE IN WEST GERMANY with break between WEST and GERMANY. Instead the manufacturer is mentioned in the text that is etched around the center hole on the playside that reads MADE IN W. GERMANY BY PDO. As is often the case with these PDO pressings, the inserts the accompany this disc were not Printed in West Germany but instead they were manufactured by Record Service in Alsdorf, Germany. Because these PDO pressings were mainly intended for distribution in Europe, the catalog numbers, both on the back and on the wings, are printed in a European-like way with a space between the third and the fourth digit instead of the more American-looking way where the space can be found between the first and the second digit. Lately I'm running more and more into variations of West German Target pressings where Polygram is still mentioned as the manufacturer on the label side of the disc, but where the text etched around the center hole states that PDO is the manufacturer of the CD. 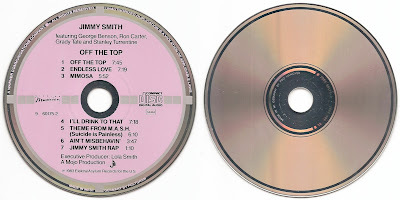 Below are two examples of Off the Top by Jimmy Smith, showing these variations. while on the second the word HANOVER is added to this text. 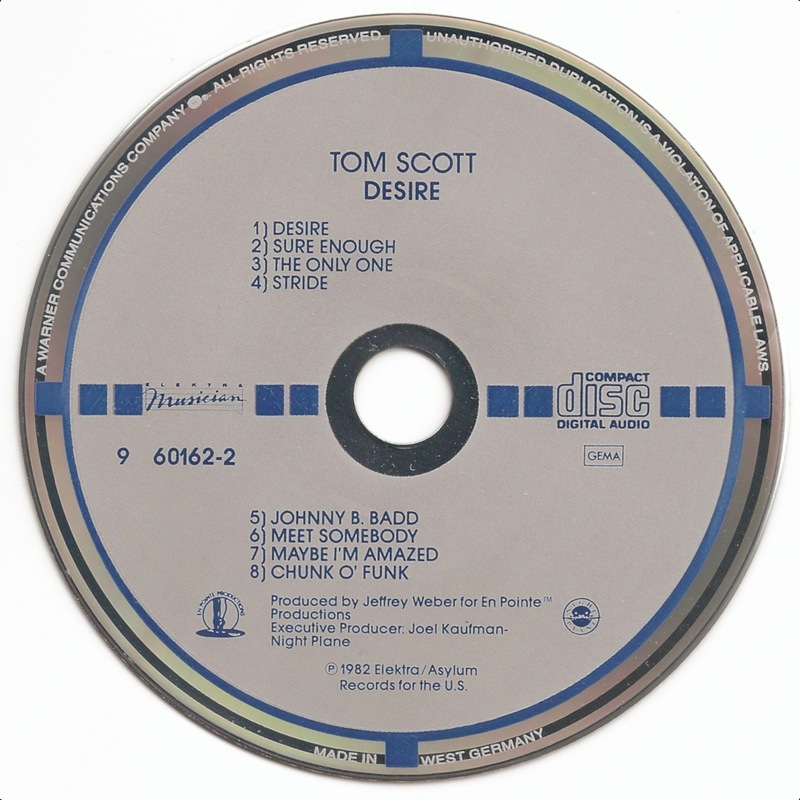 Tom Scott's effort of 1982, Desire proves that not all Target CDs released on Musician were printed in pink. Instead a completely different color scheme (gray background with dark blue targets and lettering) was used for this disc. 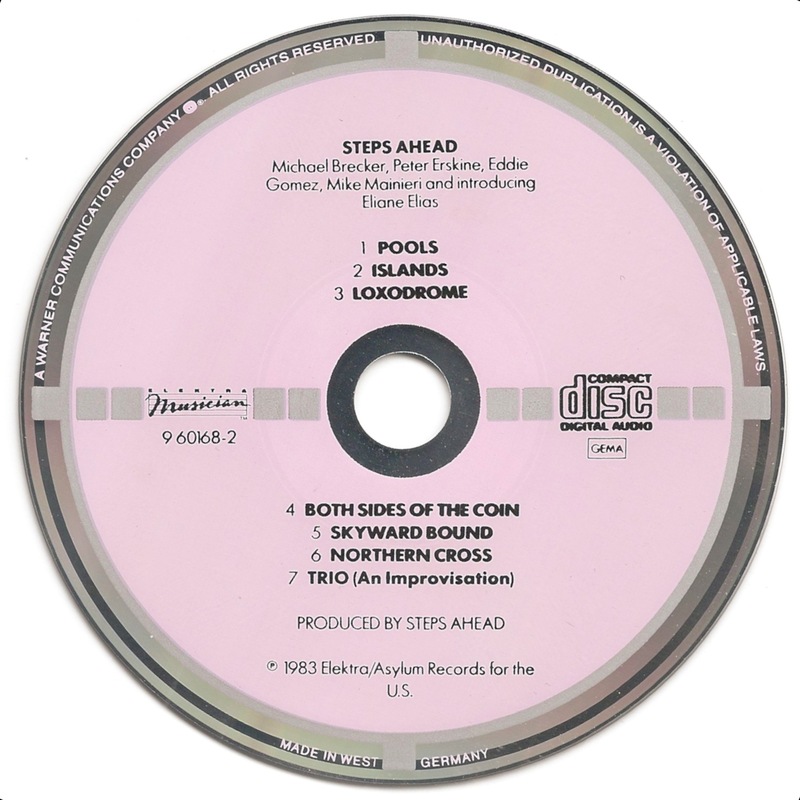 The disc shown above is the only example of a Target CD released on the Musician label that I know of that has the text MADE IN WEST GERMANY with break between IN and WEST, which is indicative of a very early pressing. 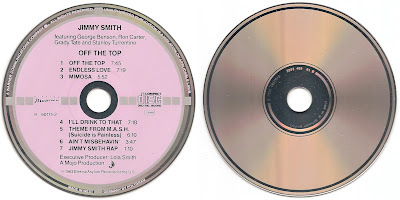 Because the disc can also be found with the same color scheme but with the manufacturer mentioned in the text printed around the perimeter, it is highly unlikely that it is a manufacturing error. 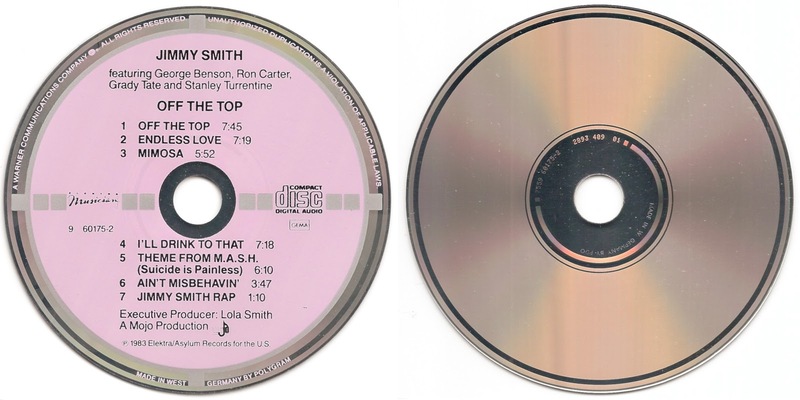 Could it be that this gray/blue color scheme was originally selected for the Musician label and that it is due to a change of mind that all subsequent Target CDs released on this label were eventually printed in pink?